In celebration of Thailand's Songkran Festival, The Line at Shangri-La Hotel Singapore has collaborated with acclaimed Bangkok-based restaurant, BAAN to offer a Thai feast on top of their regular dinner offerings. Guest chefs from BAAN will be preparing five specialty Thai dishes during the promotion period on 11 to 30 April 2018. 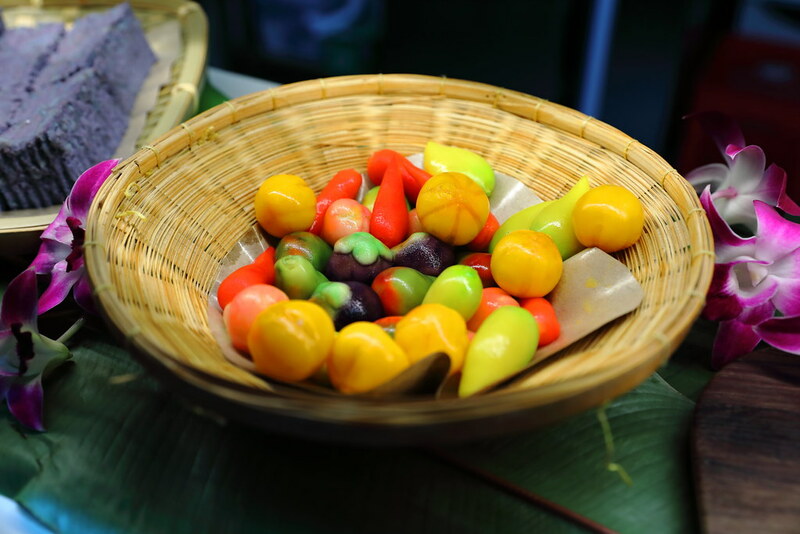 Diners can look forward to five popular traditional home-cooked Thai dishes, namely the Five-Spiced Spicy Eggs Soup, Lamb Massaman Curry, Spicy Shrimps Salad, Stir-Fried Tom Yum Fried Rice and Tapioca with Black Beans in Coconut Cream. One of my favourite home-cooked Thai dishes is the Five-Spiced Spicy Eggs Soup. From the description I initially thought it was a soup dish but it's actually like the Chinese braised pork but lighter in flavour. However the pork belly was well braised and cooked to an enjoyable fork tender. 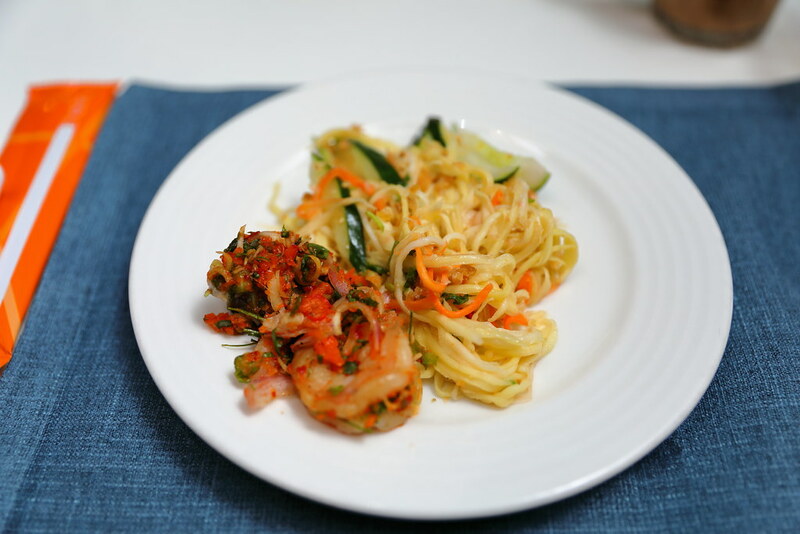 Diners will be more familiar with Thai dishes such as the Spicy Prawn Salad, Mango Salad and Tom Yum Seafood Soup. The spicy kick from the salads will whet up one's appetite. 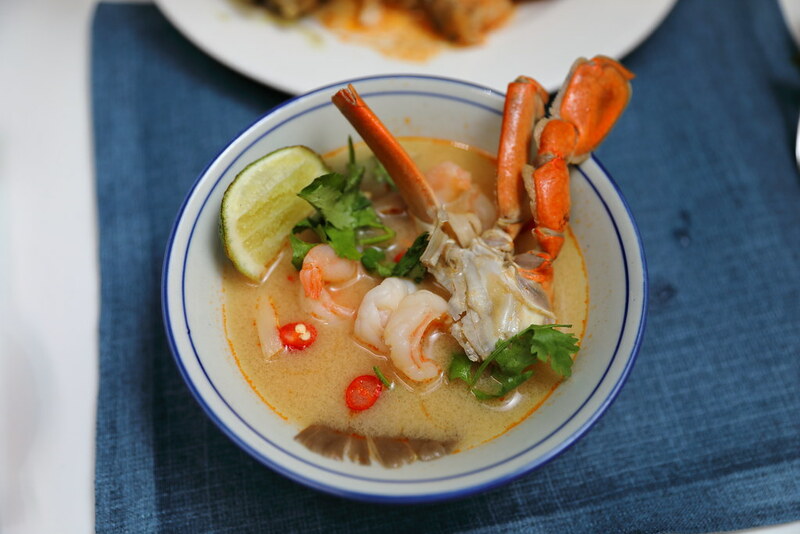 What surprises me is the luscious seafood in the tom yum soup, there is even crab in it. 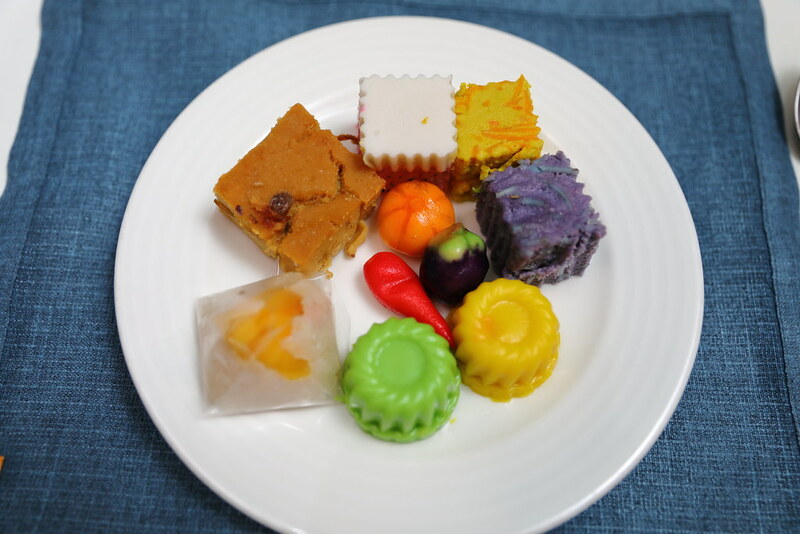 Not to forget to save some space for the Thai desserts. I don't really have a sweet note but I really enjoyed the Thai dessert spread. It was surprisingly better than my expectation. 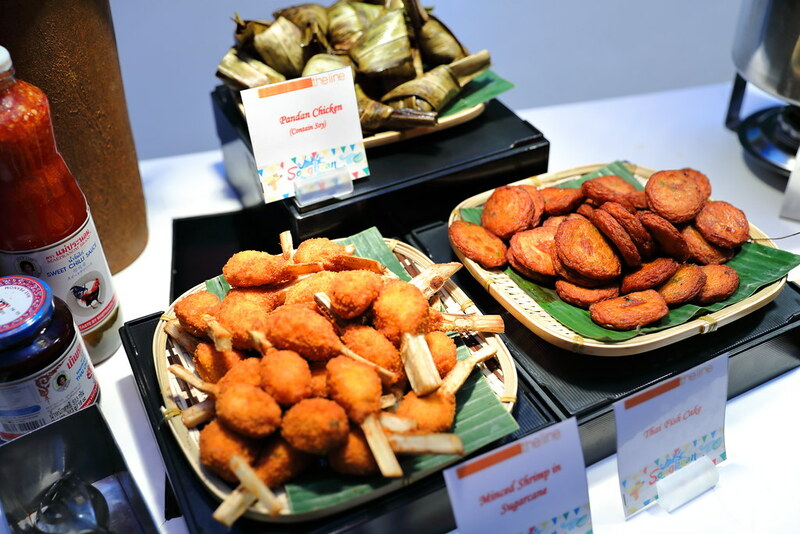 Besides the spread of Thai dishes, diners also get to enjoy the lush and eclectic International cuisines such as the Japanese, Local, Indian and Italian. 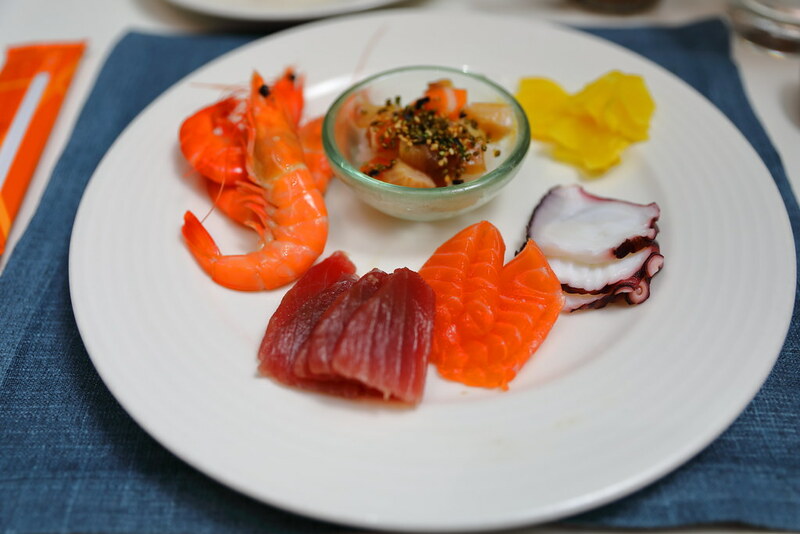 Cold seafood and Sashimi is a popular station in every buffet and this is the same at The Line. A not so popular station is the Indian station but this is not to be missed. 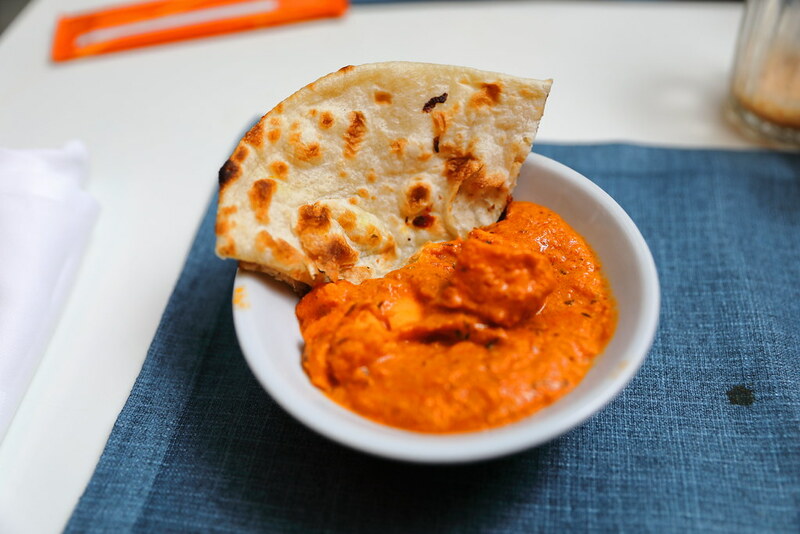 The aroma of spices and curries, go together excellently with the fluffy naan and crispy prata. In my opinion this is the best station among the buffet spread. The two live stations has chef cooking my Laksa and Pasta a la minute. 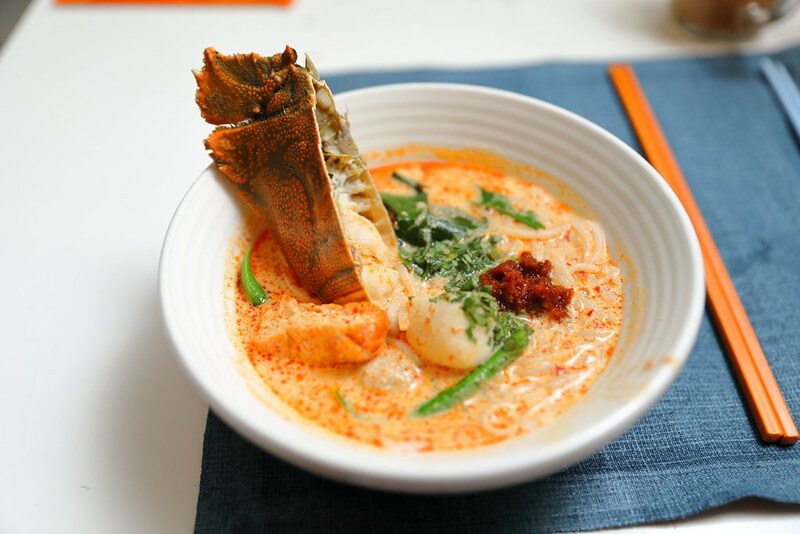 The local laksa is given a luxurious twist with the addition of crayfish. If you still have space for more food, you should have the pasta. 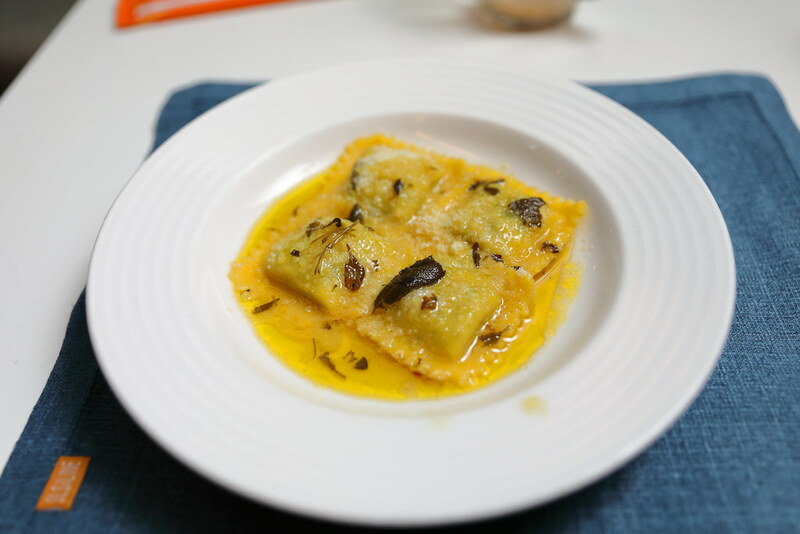 I had the Ravioli with cheese sauce which is cooked with dedication and passion by the Chef. This is as good as any restaurants serving similar dish. 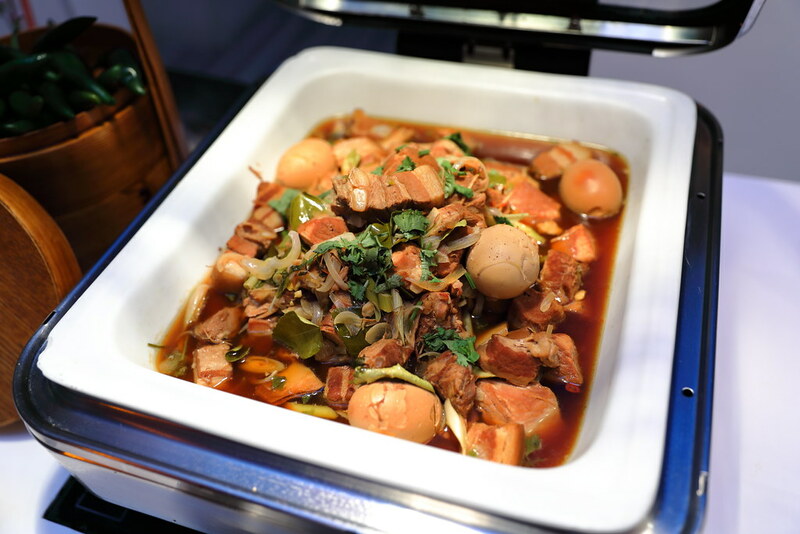 Prices of The Line’s buffet start from S$65 for lunch and S$80 for dinner. Prices stated are subject to a 10 percent service charge and GST. For reservations, please call (65) 6213 4398 or e-mail dining.sls@shangri-la.com. For online bookings, please visit http://www.shangri-la.com/singapore/.